PW Covington. Beat Poetry - pwcovington's JimdoPage! PW Covington's writing is raw, powerful, and carries the voice of his hard-lived curriculum vitae. His poetry and prose is undeniably of Beat lineage, and his words have the power to carry the full weight of desperate yet hopeful experience. We're hitting the road in April 2019 for poetry month, from the Sangre de Christo Mountains to The Twin Cities, up through the Dakota badlands, and from Wrigley Field to that Arch in St. Louis...A man and a bulldog, out on the highway, in a red convertible. It all ends when April ends, down on the Mexican border, at the 12th Annual Rio Grande Valley International Poetry Festival. give a damn about the world and the people in it." THANKS to everyone that caught us out there "On The Road" in 2018. 2019 is going to keep RIGHT ON ROLLING! Contemporary Beat poet PW Covington explores the Continent with this collection of hard lived and masterfully delivered verse. From the US/Mexico border to the Standing Rock reservation, Covington brings us impressions and stains left upon his soul as he traveled the continent, following the release of his 2015 collection "Sacred Wounds". His pace will be familiar to readers accustomed to his style, but this collection is much more "now" oriented than his previous work. Accessible, direct, and unflinching (even psychedelic, at times)...this is poetry born on the highway, not in the classroom. Pack a bag and kiss your loved ones goodbye; join PW Covington "out there", where the poetry is found! Features a unique "Yage Letters" inspired introduction written by the Poet Laureate of McAllen, Texas, Edward Vidaurre and a taste of Covington's short fiction. CLICK HERE TO ORDER TODAY! 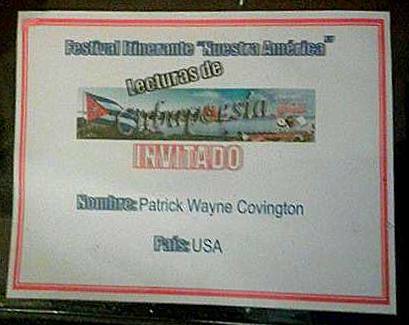 In July of 2017, PW joined a delegation of US poets and writers in Havana, Cuba for the 21st Festival de Poesia Internacional. 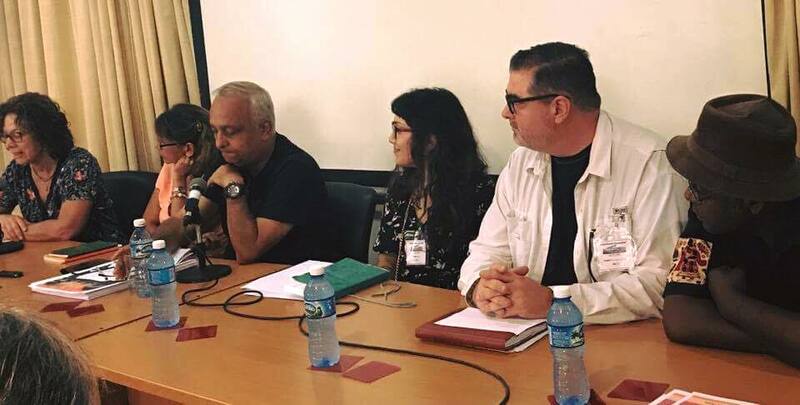 For 8 days, writers from all over The Americas worked together to present and discuss their poetry at venues across Cuba's capital city. Special focus was invested on issues such as Cuba's rapidly changing social and economic landscape, climate change and its present and future effects on the Americas, and the free flow of ideas and creativity between artists of different mediums and cultures. Other poets invited from the USA included former US Poet Laureate Robert Hass, Jane Hirshfield, and activist Odilia Galvan-Rodriguez. Invitees forged bonds of friendship and creativity with each other and with Cuban audiences. 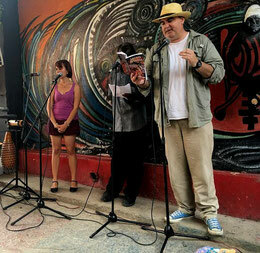 Many events were sponsored and hosted by UNEAC (Unión de Escritores y Artistas de Cuba) . More information about UNEAC and all the opportunities they provide Cuban writers and Creatives can be found here. PW's contribution to this vital anthology is not published or available anywhere else. The project is titled "Bad Hombres & Nasty Women" and is published by The Raving Press. The Barnes and Noble Booksellers in McAllen, Texas hosted the launch event, which featured diverse voices from across the border regions of South Texas and beyond. A portion of the evening's sales went to benefit the Rio Grande Valley Food Bank. This region is "ground zero" in the fight against hate, fascism, and walls. The poets and creatives of the Rio Grande Valley are leading the resistance! Order this important collection by clicking HERE. On September 1, 2016, in Banjaluka, Bosnia and Herzegovina, Hourglass Literary Magazine awarded PW Covington the Literature & Latte Scrivener Award for poetry. Judges were Sibelan Forrester, Poet and Professor of Russian, Swathmore College, John K. Cox, professor of history, North Dakota State University (Fargo), and Jelena Lengold of Belgrade, who was awarded the Biljana Jovanović award, Female Pen award, “Zlatni hit liber” and EU award for literature for her collection of stories “Fairground Magician”. Covington received a monetary honorarium along with other prizes and will have his winning poem, "Value Menu", published and translated into Bosnian-Croatian-Montenegrin-Serbian (BCMS) for inclusion in a future issue of Hourglass. The writer recently relocated to Northern New Mexico and remains involved in a variety of progressive and social causes, including homelessness outreach and prevention and Veteran's advocacy. 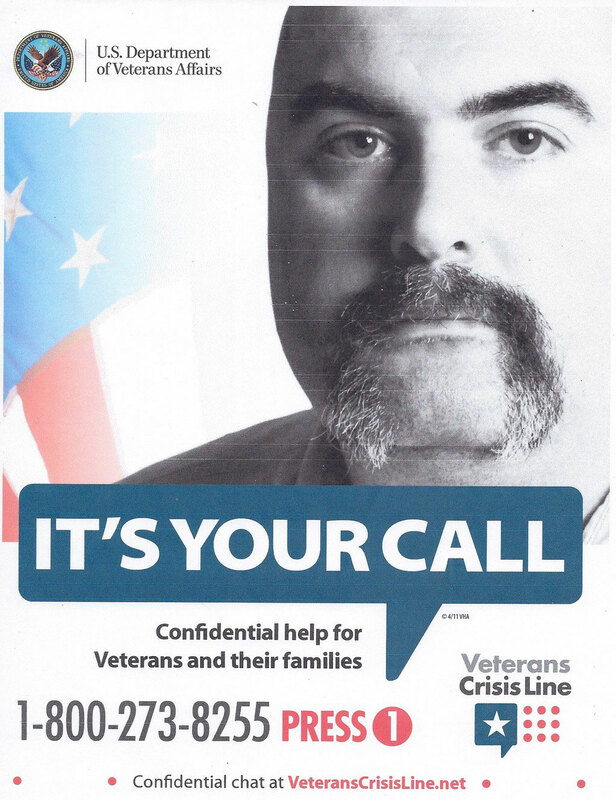 He has worked with disaster relief teams in major disaster zones across the continent. 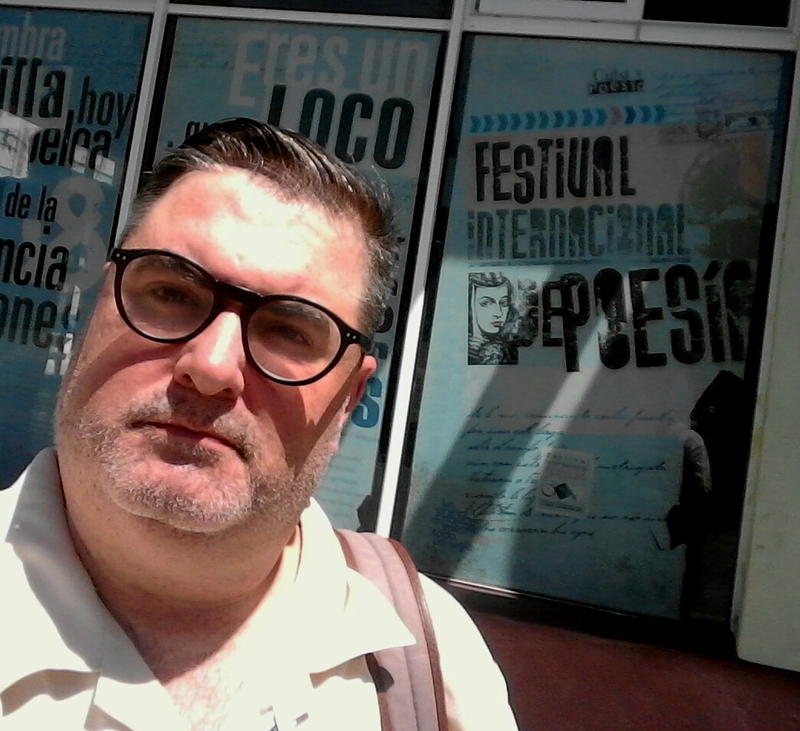 He traveled to Standing Rock as a Water Protector and to Havana Cuba as an invited guest at the Havana International Poetry Festival. Covington remains an ally of native, indigenous, and less priviledged groups, across the nation. Covington also frequently donates his time and talents to benefits and other activities organized to support immigrants, human rights and social justice causes along the US/Mexico border.